One of Vallarta’s most delightful dining experiences, the menu features dishes from different states of Mexico. Easily accessible on the south side of the Rio Cuale. The Red Cabbage is celebrating it’s 24th year of offering you some of the best of the Mexican kitchen. We thank all of our clients who have made this possible and hope to see you again this season. 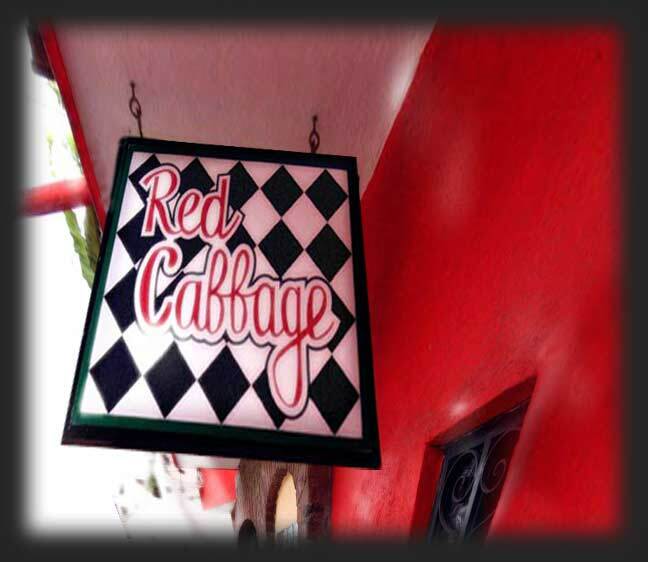 The Cabbage interior is a lighthearted collage of art, music, culture, history and humor, with Frida and Diego featured on one wall. Informal but stylish, bohemian but sophisticated dining. Prices are moderate and value outstanding. The tiny, hard-to-find cafe is worth the effort -- a visit here will reward you with exceptional traditional Mexican cuisine and a whimsical crash course in contemporary culture. the menu features dishes from all regions of Mexico.